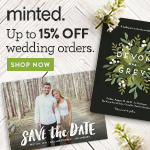 Honey Bee Weddings: Baby, it's cold outside! Many brides opt to get their bridemaids a pashima to wear to their early Spring or late Fall wedding. Peach Couture has rayon pashimas starting at $10. Of course, if live in the city, it is always possible to get a good deal of a street vendor especially if you are buying in bulk. I really enjoy getting pashimas from Benetton. Think of the Italian version of The Gap, the store offers better quality at reasonable priced. Unfortunately, their color selection is limited. If I could have any pashima though, I'd opt for this pretty one from Tiffany. Oversized and 100% cashmere, it would be a fabulous gift. The ones from Nordstrom are the best quality compared to price. 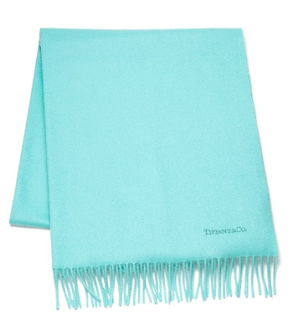 I love my bridesmaids but there's no way in hell I'd buy them Tiffany's Pashmina's. Esp because Pashmina's are dated now and just known as wedding wear; they won't wear them again. A $450 pashmina is not a good gift; its insane. Esp considering pashmina's are out of style now. If you insist on being stuck in the past check out the 100% cashmere ones at Nordstrom which are under $100. But I promise you most bridesmaids will never wear it again it would be best to not waste money. All the fashion magazines agree-- pashimas are out of style. But as a fashionista, I promise to wear them forever. There is nothing worse that going to an event in a cocktail dress in bloody ten degree weather and freezing all night. Ouch, $450???!!! You are aware of how bad the economy is now, right? 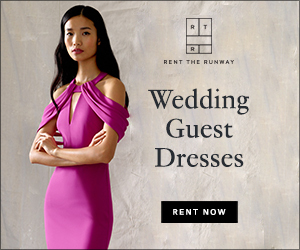 I want a little luxury for myself and my 'maids as much as the next bride, but this is outrageous and not a helpful recommendation for most brides. Don't forget we're not all made of money! $10 rayon wrap, here I come. As I said in my article, if you live in the city, I would get a pashima from a street vendor. There is also Benetton. I put pashimas at various price points in the blog. I wouldn't be able to buy a Tiffany pashima for my bridesmaids (or myself!). It doesn't mean that I can covet it though!